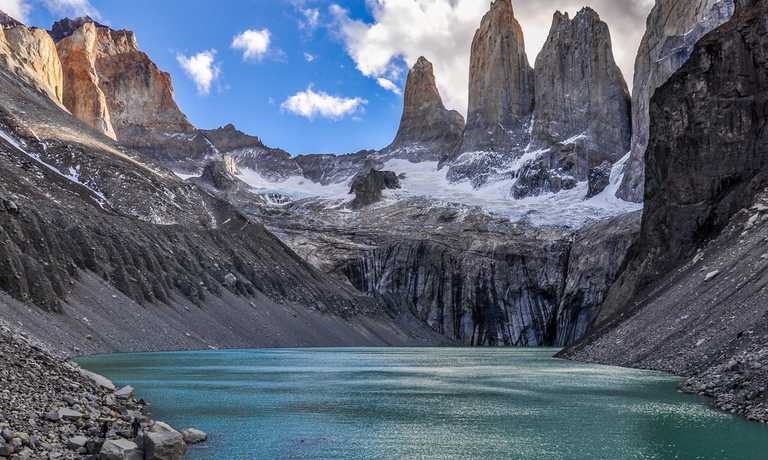 Perfect for the enthusiastic photographer, this Torres del Paine adventure will take you to the best viewpoints in the national park with an opportunity to see the towers at sunrise! This trip is also very adaptable to suit your preferences. In the morning you will take a bus from El Calafate to Puerto Natales. Upon arrival in Puerto Natales you will have a bit of time to have lunch and stretch your legs before we get in our private vehicle that will take you to Torres del Paine National Park. 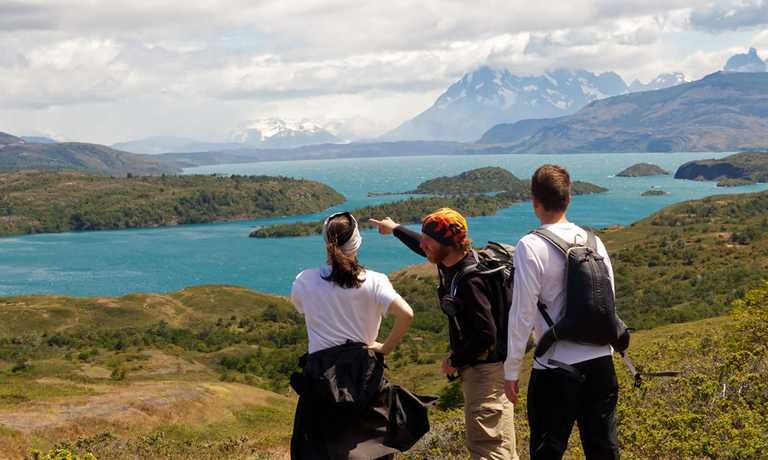 You will go along an alternative road that has spectacular views of Lago Toro, Glacier Grey and the Paine Massif as you get closer to the park. In the evening you will spend the night a hotel on the edge of Lake Pehoe called Hotel Pehoe. After breakfast we will leave Hotel Pehoe and arrive in the Lake Pehoe area of the National Park. Here you will have some time with Salto Grande (the largest waterfall in the area) and other breath-taking lookouts of the Cuernos. Just after noon the group will cross Lake Pehoe and arrive at Refugio Paine Grande. From here, we will hike 2 hours to Camp Italiano and take a break. Camp Italiano is at the mouth of the French Valley, so from here we begin going up! The hike to Camp Britanico is another 1.5 hours and as you hike the views get more and more amazing. Finally we will arrive at Camp Britanico to set up camp and enjoy the evening taking pictures of the spectacular landscapes. In the morning you will wake early and again have the opportunity for some photography in the valley. After soaking up the views you will begin hiking back down to camp Italiano and around to the Refugio Cuernos. You will have a leisurely afternoon and be able to enjoy the views and hopefully catch a glance of the condors that sometimes circle above! 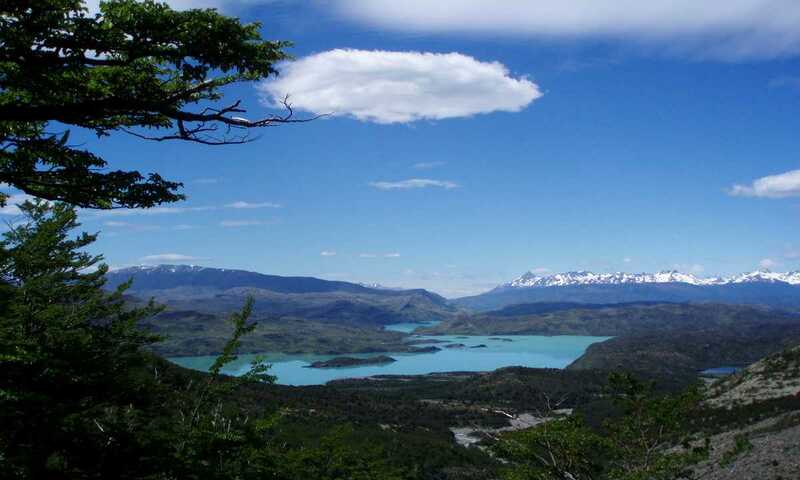 After an early breakfast, you will begin to walk along Lake Nordenskjold and finally up Almirante Nieto, a mountain that takes you to an incredible view of Lake Nordenskjold and the Asencio Valley. You will pass Refugio Chileno just in time for lunch. After a short rest in Chileno you will hike one hour through a dense Lenga forest. Just at the clearing of the forest you will reach your campsite. The porters will have set up your camp and have everything ready for you to take another rest before continue up to the Torres. After leaving the camp, you will approach a moraine and climb to see the amazing granite peaks known as the Torres. You will be able to spend the evening in the area and enjoy taking photos in the area during sunset. Price of $733000 CLP per person is indicative based on a group of 6 passengers. Please enquire for a confirmed quote. The above itinerary can be adapted to suit your preferences, but aims to take you to the best photography viewpoints in Torres del Paine.